If you’re a regular reader, you may know that I work in Luxembourg, and in tax. To many, those key words are enough to see dollar signs rolling in front of your eyes. So when the ‘LuxLeaks’ scandal broke out, it provided justification to many around the world: “those quasi-tax haven countries are unjust”; “they cheat”; “they’re becoming more and more powerful”; “they’re being utilised more and more by an increasingly wealthy elite to evade tax”. Do you think that’s true? Then did you also think the same about Panama? 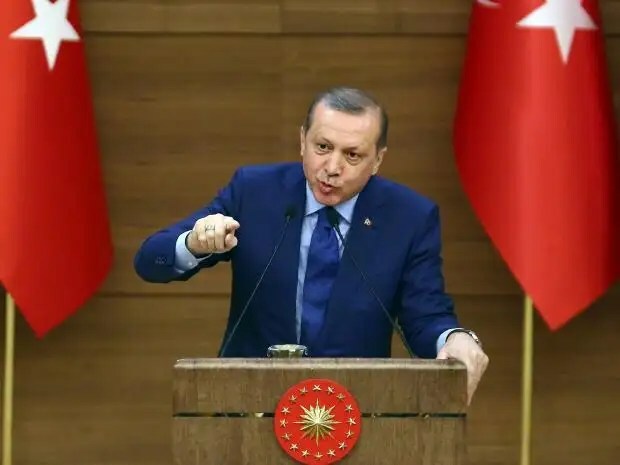 A journalist organisation recently unleashed nearly 40 years of a Panamanian law firm’s records, which exemplifies how many prominent political figures and wealthy people have used offshore bank accounts to conceal assets. The Prime Minister of Iceland lost his job over the scandal. But it’s also tarnished the reputation of more than 140 other politicians and public officials from around the world – Ukraine, Argentina, Russia, China, Britain, and many others. It’s a great quote, since it unveils the hypocrisy of many critics. Yes, people do make voluntary donations to the state. But they’re the minority. Most people use every available legal tool to lessen their tax burden, and if they had the wealth to invest somewhere with less tax, would do so in a heartbeat. What’s more, capitalism encourages people to do whatever is legally permissible in order to maximise their capital assets. Thus within the rules of the game, it is not only perfectly reasonable, but more than that positive, to see people increasing their wealth with tax. Is there someone to blame? Let’s take the example of British Prime Minister David Cameron’s late father. As a multi-millionaire stockbroker, he registered his own investment fund in Panama, and personally managed it until his death. Through this fund, the elder Cameron was a client of Mossack Fonseca – the Panamanian law firm in question. And even the fund’s prospectus explicitly stated that the fund intended to remain resident outside of the UK for tax purposes. So did the elder Cameron do wrong by using taxes to maximise his capital within a system called capitalism? Or is that system at fault? One of the main reasons why this story in Panama has attracted such attention is the widespread assumption that such criminal, or at least borderline criminal, activity is widespread. Although Mossack Fonseca itself claims that it applied all KYC (Know Your Customer) and AML (Anti-Money Laundering) due diligence procedures, the ICIJ (International Consortium of Investigative Journalists) reported that many banks, law firms and third parties involved in the transactions referred to failed to adhere to legal requirements. In other words, they did not carry out sufficient due diligence to ensure that their clients weren’t involved in criminal enterprises, tax evasion (illegal), or political corruption. Some of the documents even show that intermediaries deliberately acted to conceal certain transactions. Given the number and complexity of new laws and regulations that companies need to comply with, and the fact that none of the due diligence work is funded by governments, it’s no wonder that application varies from one institution to the next. And can individual countries even monitor all the data that’s currently being requested? Of course they can’t!! Therefore, although responsible individuals always have to take blame, I have to say that the ultimate fault, or problem, lies with the system itself. Yes, the days when secrecy was one of the main selling points for ‘tax havens’ is fast becoming history. But nonetheless the lack of a truly global tax organisation – similar to the WTO, but for tax purposes – is a significant hindrance to any truly synchronised efforts at tackling tax evasion. Such a tax organisation (and no the OECD does not, and cannot fill this requirement) would bring FATCA, CRS, UK CDOT, BEPS, and perhaps even model tax conventions, and bilateral tax agreements under its umbrella. With such oversight it could easily replace many of the complicated requirements with a simpler, and at the same time more rigorous, set of compliance requirements. But more than that, it could work towards rebalancing the existing inequities of the international tax system, which presently give huge bias to certain countries (and not just tax havens). Process versus Principle: Why can’t I vote for my beliefs? “It’s ironic isn’t it?” Phil asked me. I raised my eyebrow in question. Phil Badger is standing in the 2015 General Election in Lewisham Deptford, for Democratic Reform. He is a Goldsmith’s Politics graduate who works at the Royal British Legion, and is standing for democracy, social justice, jobs, and affordable housing. He is the candidate I choose. On the campaign trail residents asked an equivalent question – can they really vote for what they believe in? We found that people often search for the best funded candidate; those people who are backed by the biggest celebrities, and are most likely to win. Yet it is well documented that politicians have lower transaction costs in representing people like-minded people. By electing the elite, and the vested interests, we perpetuate our existing problems, and make the prospect of genuine reform more unlikely. These problems lie at the heart of democracy’s present weakness, and Phil’s identification of them ensures that he prioritises constituents over vested interests. As Phil said, irony is everywhere in British politics. Whether it be the difference between equality in principle and practice, the sometimes absurd assumptions of the political elite, the difference between our reputation for corruption and the media reports, or simply those actions and policies which contradict one another – if British politics were a mug, it would be overflowing with oxymora. Phillip’s most unique selling points are his ambitions to localise politics, increase transparency and autonomy, and open Parliament enough to provide all people with opportunities to propose ideas. Indeed, Democratic Reform’s manifesto speaks of such decentralisation that we create “modern Greek city state[s].” Furthermore, Phil’s website shows that he practices what he preaches in putting everything online. Arguably, such practices will challenge oxymoronic political language. We are among those countries with a claim to be the birthplace of modern democracy, and yet only 44% of 18-24 year olds felt inspired to vote in 2010. Voting apathy, a trend that may have been further induced by Russell Brand’s call to boycott the 2015 election, is not an idle concern. 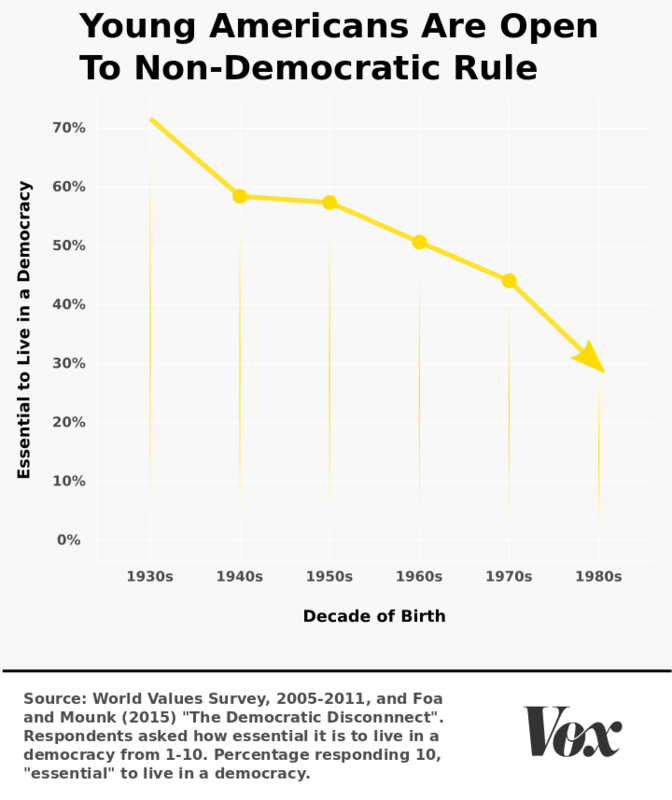 Indeed, non-voters have been increasing in number since the mid-nineties. Since 2003, Freedom House has ranked the UK at a level that cannot improve in political right and/or civil liberties. Yet, combine the pessimism and low voter turnout with the way our electoral system (First Past The Post) works (not to mention recent changes to the registration process, which further reduce the number of registered young voters), and we have an almost inevitable result that 2015 MPs will have no mandate to govern the young. Of course a Democratic Reformist government would implement Proportional Representation, and massive constitutional reforms designed to bring process and principles in line. Yet even without such reform, global expectations and hopes may be of influence. India’s Aam Aadmi Party was founded in late 2012, and based on an anti-corruption campaign, won 67 out of 70 seats in the 2014 Delhi elections. Likewise, Spain’s Podemos Party is founded up on anti-corruption and inequality. Founded in 2014, this party is already Spain’s second largest party in members. Imagine if that happened in the UK. Imagine what would happen if the non-voters voted. Imagine what would happen if voters put principles before process. That could happen by voting for Phil. He is passionate about electoral, political, and socio-economic reform. He wants a top-down system to be renegotiated. He wants the young to become active, and he wants to engage in a continual conversation with voters – not just during the election. Phil’s ability to assess different opportunities, make judgements, and choose the best timing to act, gives me hope that such imaginations could bear fruit. In fact, responses on the campaign trail are quite unusually positive. So perhaps hope is on our side. The question is, will the young act on Phil’s vision for democracy? 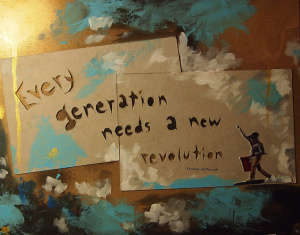 Or will they act on Russell Brand’s vision for a revolution? So the story is now that we have a villain and a liar at the head of the EU, as well as a proven tax haven at the very heart of Europe (Luxembourg was one of the EU’s six founding countries). 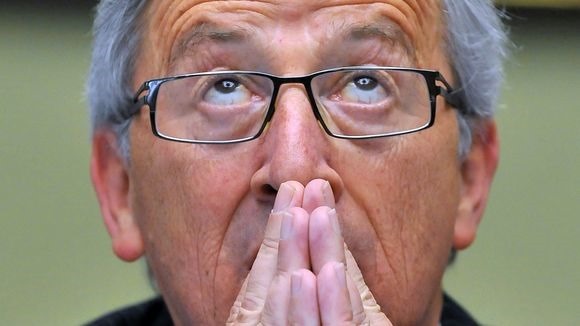 Indeed the news is now peppered with talk about pressure on Junker to step down. BUT, this story is both naive, and also the story that tax avoiders actually want you to buy into. It is a story which harms international cooperation, and prevents focus from being where it actually should be if we want to resolve the problem of lost tax money. As argued in the tax debate, focus on individual countries, and especially on the political elites, is part of a false and misleading narrative. I work as a Luxembourg Tax Analyst full time (more to assist compliance with government legislation than advice provided to companies, but I know several tax advisors – some of whom work in PWC). In this capacity I have helped to re-organise one of the tax payments systems used. Do companies always pay the cited national level of Corporate Income Tax? No, annoyingly far from it. I remember coming home from work numerous times and complaining to my wife that even in nominal terms we pay many times the amount of tax paid by big corporations. But let me ask you this: do you think companies in the US pay the national rate? How about the rest of Europe outside of Luxembourg? Or indeed anywhere else? Moreover, I also work as a Political advisor in my spare time. In that capacity I have analysed, and spoken to, a lot of different politicians. My experience is limited, and perhaps it would be different were I to circle with the true elites. But nonetheless, I have never encountered anyone who’s actually clued up about the way that the international tax system works. They all know it’s a problem. But in reality it’s just too complicated for most elected politicians to fully understand. So the problems get shunted off into the administrative elements of the tax system. These administrations are left to understand vague and ambiguous political directions, to which private institutions spend huge sums pandering towards. But, and this is why today’s story misses the point, Tax Administrations around the world all play by the same rules! Shire is a good example. It’s a multinational drug firm, specialising in treatments for ADHD, Crohn’s disease and rare genetic disorders. Its structure, set up upon advice from tax advisors, sees offices in Ireland, Jersey, the UK and the US. By paying internal loans between these offices (sub-businesses), Shire is able to avoid paying tax on interest payments from countries where tax is high, on the understanding that tax is paid where the interest income is received. 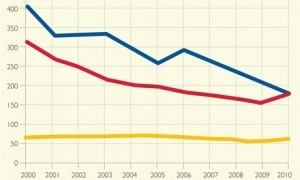 But, based on a chart showing money flowing from the company’s headquarters in Ireland, through two Luxembourg sub-units, and ultimately to to other Shire companies around the world; the Luxembourg sub-units could be presented to the Luxembourg Tax Authorities as simply an intermediary between other, larger businesses elsewhere. As part of this presentation, tax advisors can draw up an Advance Tax Agreement (sometimes called a ‘comfort letter’). There, they argue that the onus of taxation falls not on Luxembourg, but really on the final recipients of the interest income, because the loans are really only flowing through Luxembourg. To the Luxembourg Tax Authorities this idea of tax transparency seems quite normal. Most countries recognise tax transparent companies, where the onus of taxation is not on the company, but rather on the final beneficiaries from the company’s income. In other words the company exists for administrative purposes, and tax just flows through. Moreover, Luxembourg is of course a very small country. It seems easy to believe that it is indeed being treated as no more than a flow-through entity. Therefore, Luxembourg’s tax collectors agreed that they did not need to perform a rigorous tax assessment of Shire’s operations, because the assessments should really be performed elsewhere. Of course this is a very positive light in which to paint these activities. But what I wish to press is that these arguments are easily made, information is often incomplete, and similar things happen all the way around the world. Moreover, every single act now perceived to be immoral was perfectly legal, and not only that, but encouraged under the existing corporate and capitalist systems in place. The American system of Corporate Governance is the one which dominates almost all global corporations (Germany is a sometimes cited exception because of the power it gives to employees, but even there the pattern of change is towards the global consensus, and not away from it), and it says that the corporation’s primary goal should always be maximising shareholder value. Given that this defines the goals of almost the entire global network of competing businesses, is it really any wonder that Shire was able to justify its actions as below? If someone beats you in Monopoly, do you cry out that they were cruel and unfair to leave you bankrupt? Of course not! They were supposed to do that, because that’s what the game asks. Besides, if you target one player in the game and continually criticise them as being unfair, then you will probably find that while you’re distracted, someone else is even more busily trying to bankrupt the both of you. This is why, when political leaders such as US President Barrack Obama and UK Prime Minister David Cameron come out in speeches labelling multi-national tax-avoiding corporations as “unpatriotic”, they sound to many in the corporate world like the Monopoly player whining about their losses, and in a world where they have as much power as anyone else to affect real change in the rules of the game. This is why it is crucial that we focus on tax reform where it matters most: in the arena of international taxation. The OECD’s Base Erosion and Profit Shifting Initiative (BEPS) is trying to resolve problems such as these (and many others) right now. The latest update relating to BEPS came just a few days ago, with the OECD releasing a discussion draft pursuant to action 7 of BEPS, in which they call for changes to the definition of ‘Permanent Establishment’ (one of the legal requirements necessary to set up residence in a country). So let’s focus on initiatives such as this. Let’s bring them into the limelight. Let’s raise their profile. And let’s challenge their fundamental assumptions too. The OECD is effectively a rich country’s club, as you can see from the map below. 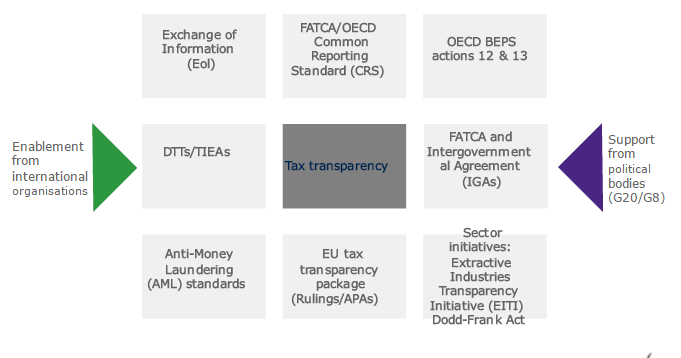 Talk about tax fairness is commonly about compliance with the OECD Convention, and the OECD’s rules on tax transparency (which countries like the UK and US are not compliant with). But what is not normally recognised is the fact that the OECD Model Convention stands contrary to several principles initially laid out in the 1928 League of Nations Treaty, and later promoted by Keynes when the Bretton Woods Institutions were being set up. These principles gave substantial taxing rights to source countries (where the income comes from). The OECD model benefits developed countries in which investors choose to reside their companies e.g. Luxembourg, the US, the UK, Switzerland, the Cayman Islands, Hong Kong and others. In fact the UN had to create an alternative model in 1980 to more fairly deal with the source countries. Bring the UN in on the BEPS initiative. The campaign for tax fairness is not a battle that can be fought and won. There will always be vested interests spending countless hours trying to find loopholes and exploit tricks of the system. An International Tax Organisation would ultimately be able to monitor these efforts, and provide assistance to all states seeking to protect their legitimate taxable incomes. But as that organisation is a long way off, then let us cooperate more on what is on the table today. And let us not turn to childish bickering and the age old classroom ‘blame game’. If we do go down that route i.e. the blame game; our problems will be worsened, not solved. The players don’t need to be changed. The rules do!